What is the condition of the fuel tank is their garbage in it? Does the blast have a fuel pump or is it gravity fed?how is the fuel filter? How old is the fuel?Check the carb for garbage again. The, petcock, fuel line, and carb are clean - and I’ll be gettin an in-line filter ASAP to ensure any potential future debris doesn’t gum the carb. Fuel is all gravity feed, and fuel is new. I’m going to get fresh 91 in the morning just in case. The gaskets in the petcock are good too and duel flow is very good. Have you checked the vent hose? When my Blast acted like yours the vent hose was melted shut. It’s fine. Runs equally bad with the tank cap off too, but the vent hose is clear. OK, now is the time to step back and do a mental re-set. Given what you have done/tried, I believe the fuel system is fine, and not the problem. After resetting the float level to factory specs (if it is not already there) . . .
1. 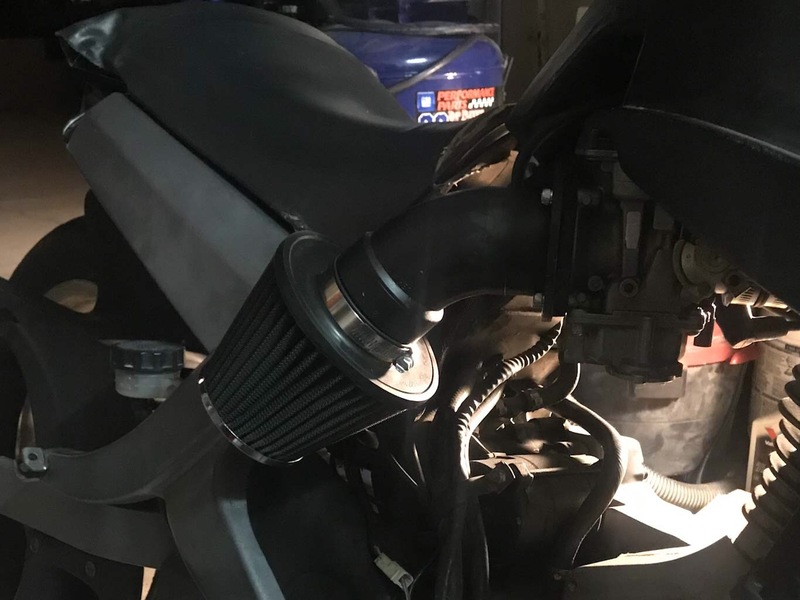 Some sort of intake system leak. 2. 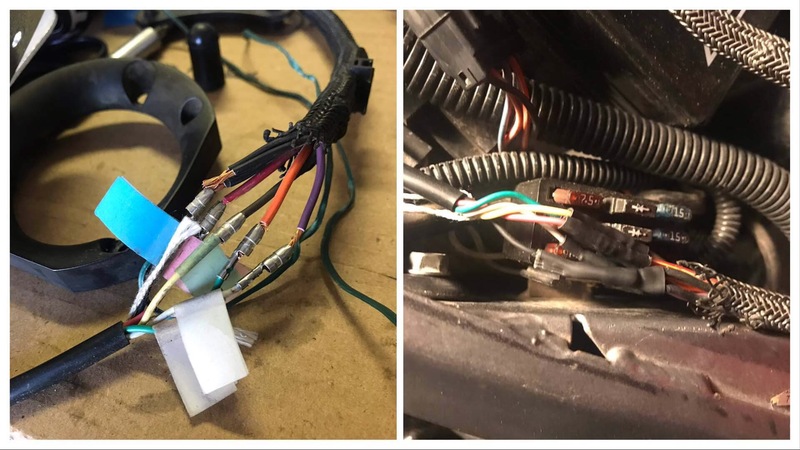 An intermittent electrical issue, either a loose or weak connection, or something like a coil or other ignition component in a pre-fail mode. In my time of fooling with internal combustion engines, I have encountered situations where I was positive the issue was fuel, and the culprit was eventually determined to be an ignition problem. Damn. You could be right. The bike had an intermittent issue with starting due to some glitch at the fuses. Sometimes you’d start it fine, sometimes it wouldn’t kick until you fussed with the fuses to get the right connection. I would literally jiggle my finger on top of the fuses until the right position was found. Since it kicked every time (after pulling the fuses and spraying contact cleaner into the terminals) i moved on. So how would one go about working on this? Electrical is my kryptonite. My way of solving electrical issues is to start from the beginning. Not very enlightning, I know. What I mean is - start at the battery. Ensure/confirm good connections, and ohm/wiggle the cables to make sure they are good. A light coat of dielectric (sometimes known as bulb grease at the auto parts store) on reassembly. Since you have had to do the wiggle test, so to speak, at the fuse box, take it loose so you can look at the back, and confirm all is well. Then clean the fuses and fuse contacts, again. I like to remove/insert them 3/4 times, then the dielectric. If they look at all sketchy ( a technical term ) maybe a soft sanding with a fingernail file, for example, then clean and dielectric. My X-1 has relays for various circuits; if you do, try the cleaning them and swap them around. Or replace, esp ignition related ones. Same with fuses. As happened over in the XB board, Check Your Grounds! All of them. And the wires where they connect to the wire terminals. Sorry to paint with such a broad brush, but my experience has been a very patient, step by step process actually saves time in the long run. Basically, pick a system, such as ignition, start at the battery, and work all the way through until you get to a ground so the electricity can get back to the battery, following the electrical diagram. My bad ! It was the Old School Buell section; the poster was XB - - - guy. Anyway, have the wiring diagram to hand, and start. BTW, a trick I was taught was to take the diagram, and place something like an acetate sheet over it, held in place with the tape of your choice. Trace the circuit you are looking at with a grease pencil. That way you don't accidentally 'cross wires' and end up somewhere not associated with the original starting point. And when done, wipe the sheet clean and use again . . .
Well, guess my first start point would be the fuse box. It’s very simple, just seven fuses and two relays, two of the fuses are spares. I’ll try pulling the wires from the backside - but I presume they have those lovely one-way fingers on them so as to prevent them from being pushed out by the fuses upon installation. Not really sure if this is necessary, maybe either new fuses and relays (to ensure they’re not sketchy lol). Goddam I’ve always hated electrical work!! This one is so tightly packed that I have almost zero flex to pull the box and spin it around. Gonna be a challenging process to be sure. Just did a quick review of the thread. Not mentioned, but if you have a side stand switch, might do to bypass that and see if the problem goes away. The side stand switch is an ign system ground on my X-1, and they are known to be problematic, and cause weird faults when they go bad/go pre fail. As to the fuse box, I found it worth the effort to remove the 'parcel tray' under the seat of my X-1 and then pull the fuse box. Six screws, and the tray is out; lots of room then to fool with the back of the fuse box. I’ll try the bypass again. I did it before when the bike wouldn’t exceed 2000rpm without success but I don’t recall test driving it with the bypass in place. I feel the likelihood that the issue is based in the electrical system is pretty high, but it’s more likely to be in the fuses than the kickstand. I’ll run a test and see. Thanks for the input!! I hate electrical, but am fastidious so at least I have that going for me. Anyone in the Phoenix area by chance? Lol. Beers are on me!! Tested the kickstand bypass again and it doesn’t change anything. I literally make the 1/4 mile and it bonks. Every time. Exact same distance. WTF. Basically from stop sign to stop sign. If I rip open the throttle it’ll live a little longer, but eventually will die 100% then it will restart right away. After I stop. Every time. The bike doesn’t like to be off the auto enricher or the TPS either. Gets cranky and revs super high, but if anything it conks faster than with the TPS/enricher plugged in. I even hesitate to think it’s elecrrical at this point bc it’s not a sporadic issue, it’s by the odometer. 1/4 mile - die. Restart, ride, 1/4 mile - die. I may take the air filter off tomorrow and try rigging my GoPro to record what’s going on inside the carb while I ride. See if I can see something going on inside there at the point where it goes kaput. Sorry I don't know the blast like I know 08 plus XBs buells. does the bike have an Oxygen sensor? If it does try unplugging it and riding. Or replacing with new. My 09 use to ride perfect until it reached 23 miles then it would backfire etc run really rich foul plugs. Check the spark plug every time you have the issue it probably is fouled. Been through the Buell frustration syndrome. No O2 sensor on the blast. This bike is like a Honda Civic of motorbikes, you know...steering wheel is an option? Lol. I’m gonna pop by the shop and get a fresh plug, but again - given the behavior it’s not likely. I’ll get some fresh high octane too just to see if that changes anything. Can’t be the petcock bc I have decent flow, lines are clear, and float has fuel. I think I’ll rig my GoPro as mentioned and ride with the air filter off to see what’s happening inside the carb when it bonks. Then I’ll pull the cover of the ignition timing and record that when I ride. May need a digital thermometer. Will see. I would consider some of the upgrades listed on GD’s link but I hesitate to think that mods will fix a problem w the stock bike. If the fuel lines were blocked would a blocked exhaust choke down the bike after a fixed distance? This feels like fuel supply...but then again revving the engine wouldn’t work. It would just bonk. Hmmmmmm. Found an ATV company moved next to my warehouse so their mechanic (who’s a harley guy) is supposed to call me today. Will see. Ok. I am officially an idiot because I checked everything as listed above but not in order of having fixed them. I tested the gas tank when I still had carb issues. When I got angry and pulled the tank to swap spark plugs, and drain the tank for new 91octane the petcock hissed. Hmm. Pressure backup. Blooooooody Hell!! The fuel vent is jacked. Problem solved. Now for new rubber, put everything back on, and I’m calling a friend who owns a detailing company to consider faux carbon fiber wrap on the plastics for a black-out look. Goddam I’m excited. From trash to treasure, a lot of sweat and one very serious face-palm!! Thank you. Thank you. Thank you!! !